We have done the right thing by opening the erga omnes issue and we have never been closer to an agreement than now. However, even if there is no agreement, the entire universe knows we cannot be blamed, says Foreign Minister Nikos Kotzias, MIA reports from Athens. Kotzias told Skai TV that negotiations are going well but it is now the question for the other side "whether it will accept a name for all uses (erga omnes), which is a bold decision". "Erga omnes means implementation within the country. Is an international treaty possible? There are lawyers who believe in this. However, the experience shows that if this government changes, the next one will send Zaev to prison, saying he had violated the constitution by accepting an international name that is not prescribed in it. 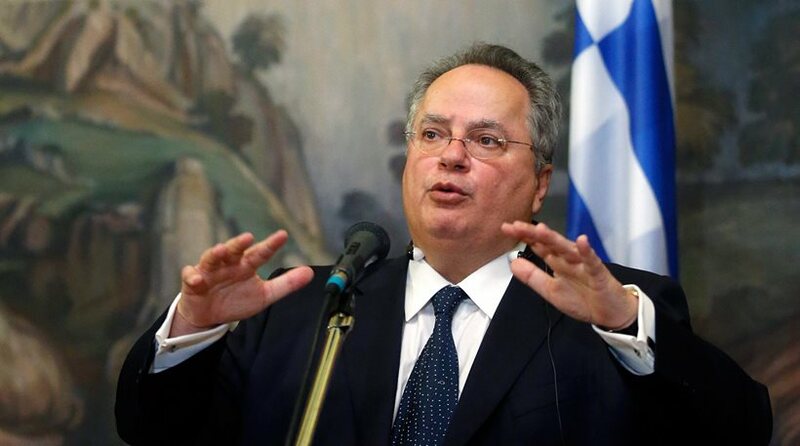 This change is also required as a safeguard for them too," says Kotzias. He elaborates this by saying a different name cannot be used in national and international documents, using an example of an ID or a faculty diploma that need to be translated in another language for use abroad, which would contain the constitutional and not the new name. "This would result in continual disagreement. Therefore, I am always saying that the solution must be stable and long-term, solving not creating problems," adds Kotzias. Regarding Macedonia's NATO accession, he rejects the possibility of "temporary integration", saying it could create problems and put pressure on Greece. "We can agree on an invitation, which is then ratified by national parliaments and then sent to Washington, where these treaties are being kept since NATO's formation. What is the problem here? Let's say 28 out of 29 NATO member-states completed the ratification process but we haven't because the neighboring country has not made the promised changes. Then who will get the end of the stick, the 28 other countries or Greece, which will be put under pressure", stresses Kotzias. According to him, there is insufficient time to reach an agreement by the NATO summit in July, since the process requires a referendum in Macedonia, parliamentary ratification, UN adoption, signing of international agreements. Asked if there is an agreement over the name, Kotzias says the new name is not a problem, because both sides have agreed it should be a compound name including a geographic qualifier, while Macedonia needs to choose one of the proposals by UN envoy Nimetz, excluding Republic of Macedonia (Skopje) which Greece has already rejected. "Sometimes we complain, sometimes the other party complains. Mr.Nimetz has been working on this issue for 25 years, sees that we have come close to a solution, is aware of the favorable environment and tries to encourage us to cross the finish line," underlines FM Kotzias. Zaev and Dimitrov insist on "Ilinden Macedonia"
Greece rejected "Republic of Ilinden Macedonia"